After signing a Data License Agreement (DLA) with adsquare, you will get access to your Audience Management Platform (AMP) account. adsquare will also create the Amazon Web Services (AWS) S3 server space for you, the credentials will be shared via e-mail. This AWS S3 bucket will be directly linked to your AMP account. Preparing a file with a list of User IDs (Dataset File) and a Taxonomy File. 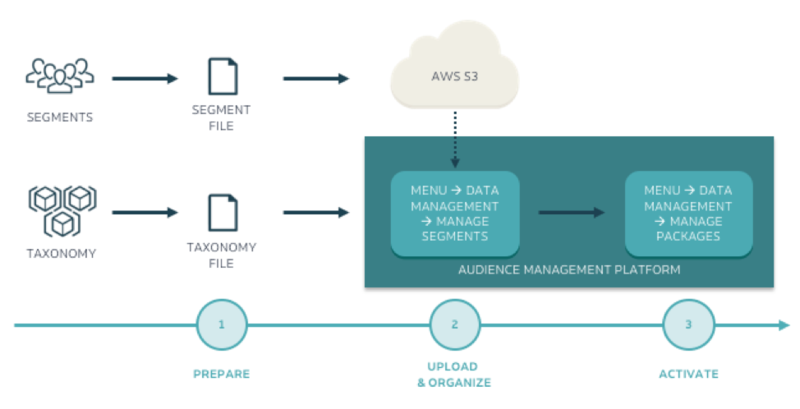 Uploading Dataset File to AWS S3 bucket, uploading Taxonomy File to AMP and organizing dataset in AMP.